Could New York learn from these temporary affordable prefab homes in the Netherlands? 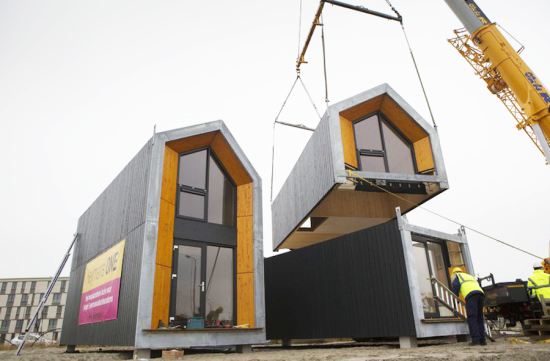 - Archpaper.com Could New York learn from these temporary affordable prefab homes in the Netherlands? Affordable housing has been a critical part of New York City Mayor Bill de Blasio’s agenda since taking office, promising to create or preserve 200,000 affordable units over the next decade. At a press conference last week, the mayor announced that his administration has made headway toward achieving this ambitious goal, financing over 17,300 affordable homes in the last year (whether his predecessor, Mayor Michael Bloomberg, should have received some credit for this accomplishment has spurred debate). But even with this good news, the demand for affordable housing continues to grow. To help fix this shortage, the administration might want to take a cue from Dutch developer, Heijmans ONE, which has come up with its own win-win idea for alleviating the housing crunch in the Netherlands: putting vacant land to good use with temporary, portable housing. Heijmans ONE designed a one-bedroom prefab house that can be easily assembled in just one day. 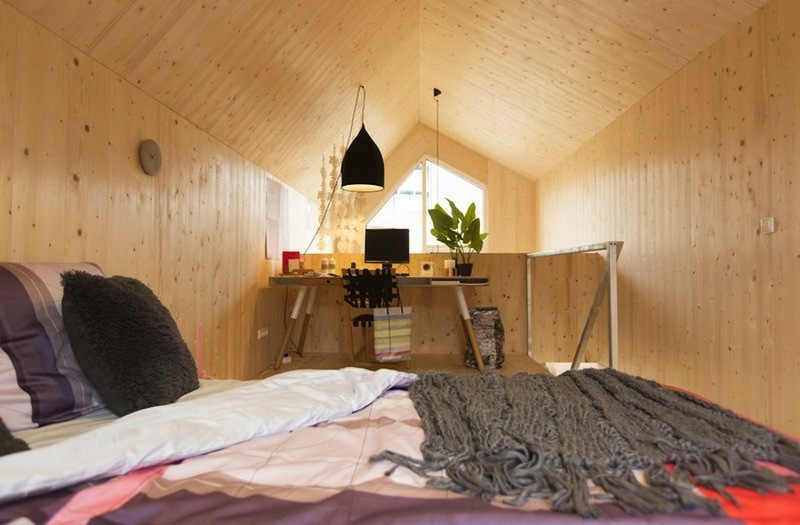 The house, which rents for 700 euros or $900, kills two birds with one stone: provides an affordable dwelling and activates empty land while construction is stalled on a project. 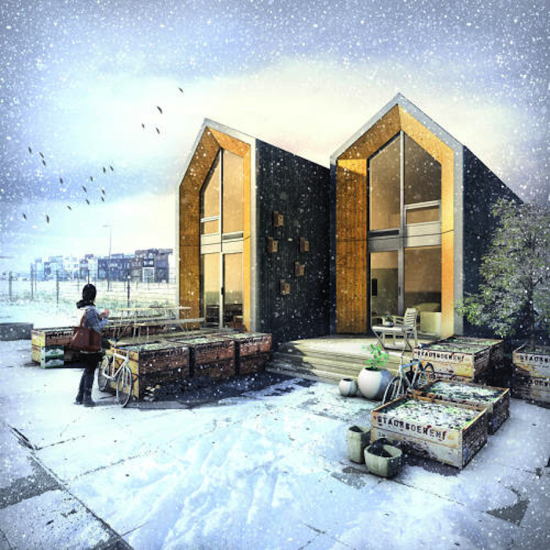 These sleek, pentagonal-shaped homes are designed to have a small carbon footprint, using sustainable wood and solar panels. 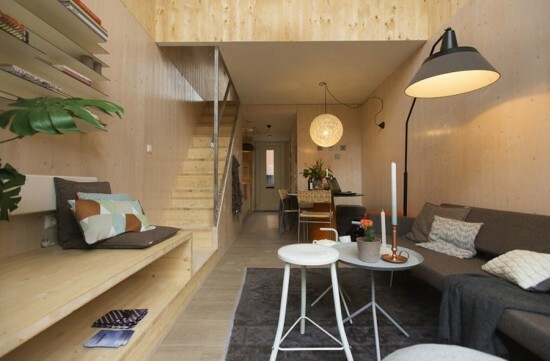 Once constructed, the house can be connected to the city’s water and sewage, but also designed to operate off the grid. New York City, with its paucity of affordable housing and glut of vacant land, could benefit from this model. Mayor de Blasio and the Department of Housing Preservation & Development have already started rolling out a plan to develop over a 1,000 city-owned properties. 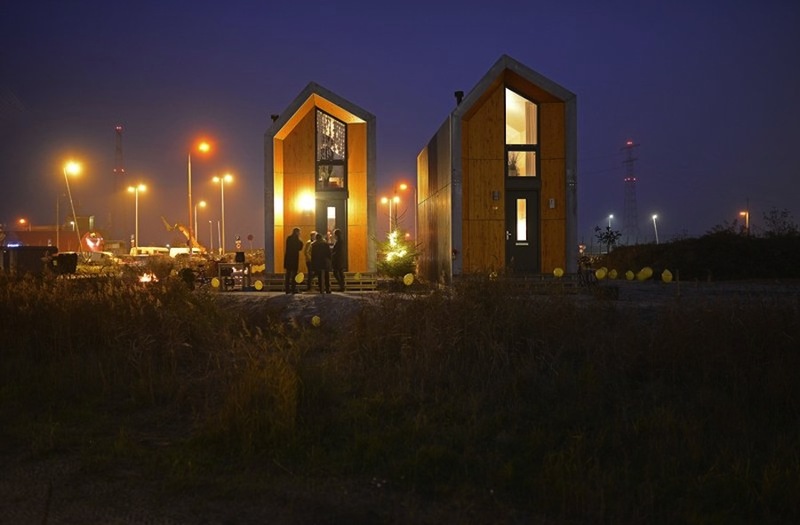 In the meantime, why not bring some temporary, affordable housing to sites waiting for long-term development?